1. All Eyes On Gold? Well, maybe not in 2018. Traditionally in times of market uncertainty, investors have flocked to gold as a safe-haven, but this year seems to be different. Even though the US has been locking horns with China in an epic game of trade brinkmanship, investors have not been buying up gold, but rather diving headlong into the dollar. Gold prices are down 10% from their highs in April which has left many investors stumped to say the least. 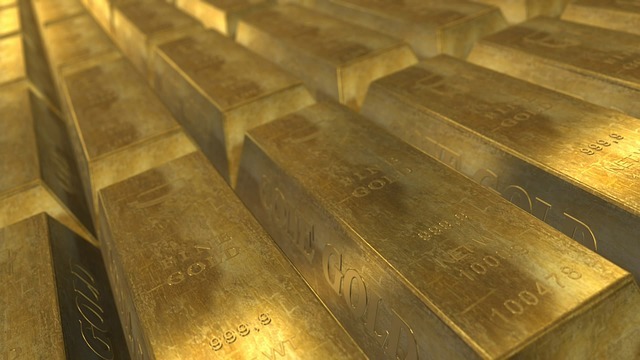 However, with a big week ahead, gold prices have paused slightly to await two important events – the release of the Fed’s meeting about rates going forward, and the G20 Summit. Many investors are hoping for a slowdown in the speed of rate hikes going into 2019, which may help markets heal from the vicious sell-off cycle that has been battering markets since October and adjust to the new reality of higher rates. However, there are no clear signs of what the Fed may do – nervous times! 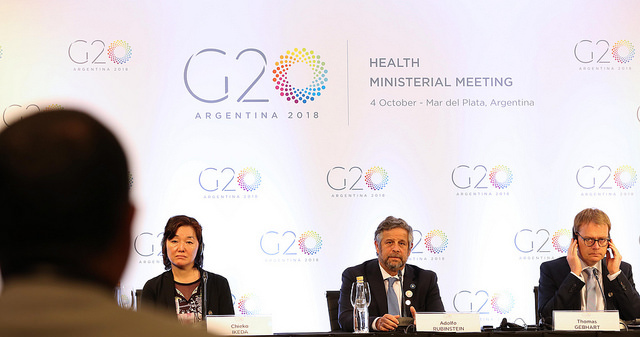 Furthermore, with President Trump’s recent announcement that he would be going forward with $200 billion in tariffs on Chinese products, all hopes of a resolution to the crisis at the G20 Summit on Friday have faded, leaving investors worried about the future. Markets are likely to be tentative ahead of two events of this size, but as we have seen this year, any big shocks may not send investors fleeing to their traditional safe haven, gold. The dollar index may be the safest place to hide when things go bad – so keep your eyes peeled! Next week will be an extremely important one for the global energy sector as envoys from all over the world convene in Poland to discuss global warming and the creation of a single set of rules to govern emissions standards. A set of comprehensive rules that apply to all nations is the only way to gain a real-world impact out of such an agreement, but how can one set of rules govern the entire world when each country is so different? Developing countries are pushing for financial aid (up to $100 billion a year) from industrialised nations that have made a far greater contribution to global warming in order to pay for advancements in green technology to limit emissions going forward and even the playing field. The deal is set to create a ‘carbon market’ in which carbon credits can be used and traded between nations to make the shift to green technology more affordable. Carbon credits are earned by making environmentally friendly reforms and promoting green power/projects which will benefit renewable energy companies the world over, and can be bought by polluters to pay for excess emissions. The US has controversially stood against the pact and actually taken measures to increase the use of coal-burning technology – Wow! The US delegation is likely to be scrutinised for their position, but the prospect of a tangible deal on the table has made many analysts believe they may change their stance on the Paris agreement. Let’s not hold our breath though! US tech company, HP, has been losing steam since its peak at the end of September, but may be ripe for a turnaround this week. 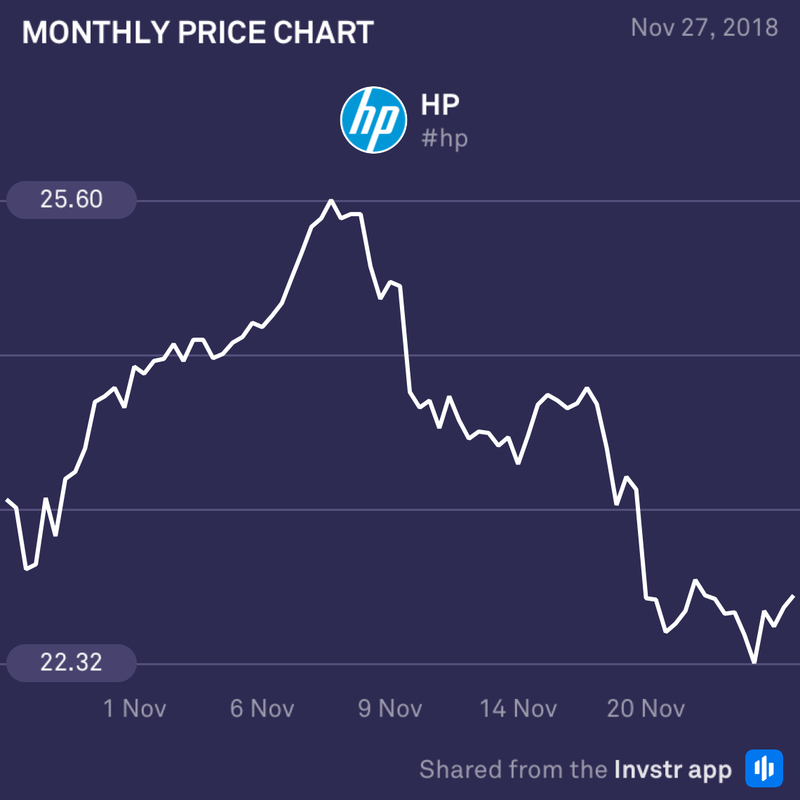 Analysts are expecting good things from HP’s earnings which are scheduled for this week, and are hoping it can resume its strong uptrend that started in 2016. Trading has been choppy this week, but should confirm a direction after the release, so watch out for this one! 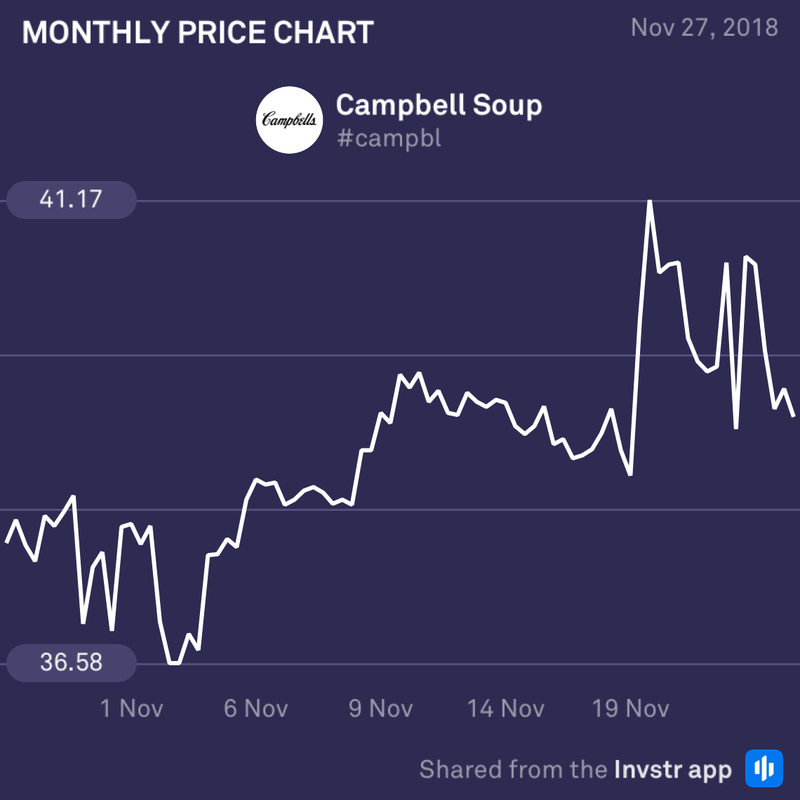 Campbell Soup has had a rather choppy ride this week after having a shareholder battle with Third Point, that owns roughly 7% of the company. Campbell’s lost almost 4% yesterday as sellers pushed prices lower, but the hope is that once the squabble is over, investors will return with a bang!